I have a client i completed a packaging, he was very cheap from the beginning negotiating on a lousy $5. So we agreed on the price started the contract and completed the design next morning. Everything was good and he was happy and he messages me he wants to do another one couple hours after submitting the 1st packaging design and so i said not a problem and never hear from him again. the next day i message him to release the payment for the order and he would be active for 5 minutes after i sent the message and wouldnt answer and again messaged him for couple of days straight like 4-5 and never heard from him. what are my options to get paid? If you were actually hired and used the"submit work and request payment" function to submit the work you get paid 14 days after you submitted the work. Of course accepting work at ridiculously low rates immediately backfires on you as any future potential clients see your history and think you consider $ 5 a decent rate. At that point the good clients walk away, and the cheapos and scammers try to exploit you. Sorry for the confusion, i didnt do the packaging design for $5, i quoted him $200 and he was negotiating with me for $5. Yes, i submitted it threw request a payment. So i cant contact upwork to get paid faster or i just have to wait 14 days? You should submit thru milestone, just once, the client has 14 days to review work, if he does nothing, you will receive the money, do not re-submit again because it will reset the countdown. 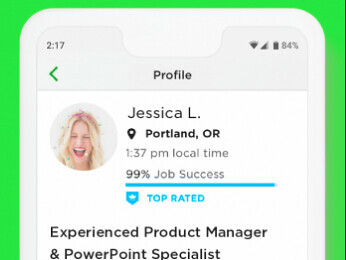 re: "So I cant contact upwork to get paid faster?" re: "I just have to wait 14 days?" 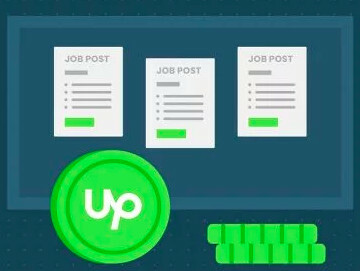 If the client who hired you DOES ABSOLUTELY NOTHING, then Upwork will AUTOMATICALLY RELEASE all Escrow money to you 14 days after you submit the work. 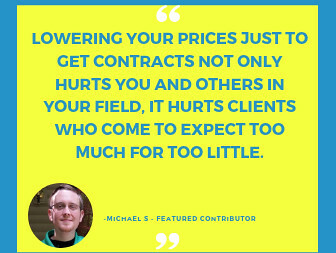 But the client review the work and release payment to you before then. Sometimes clients release payment within 10 minutes after the freelancer submits it. Sometimes it takes 2 days. Sometimes the client NEVER does anything, and you get the money automatically. I hope this doesn't hijack the thread, but I am trying to guage expectations and I think this question is relevent. Isn't there a 5 day period after the client releases the funds or their review period expires at 14 days where I technically could not actually claim my money via ACH for example? For math's sake, if the client's 14 days expire and the funds are automatically released, I couldn't actually claim the funds until 5 days after that -- so on the 19th or 20th day however that detail works out. Yes. Upwork's review period won't begin until the client is actually charged.